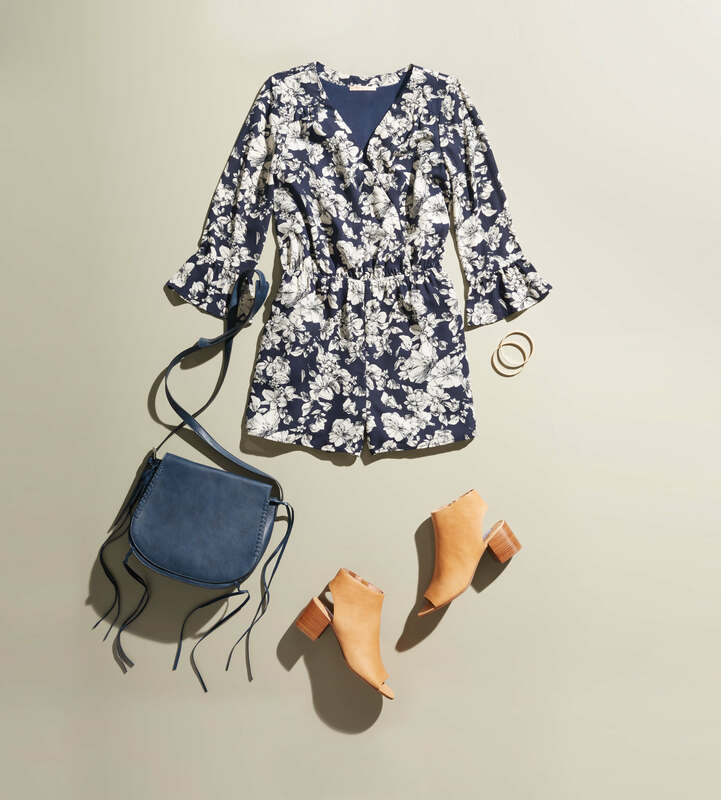 While rompers usually come to mind as an effortless warm weather insta-outfit, you can make your romper year-round wearable with some simple additions (tights included). Keep reading for tips on wearing a romper with tights! Have an RSVP out for a cocktail party? Try out a long-sleeved romper paired with opaque black tights and pumps in the same hue. It’s the perfect party-ready look that won’t keep you in the cold. In addition to layering up with a pair of tights, add a sweater too! Just like you wear your winter sweaters into spring, throw on a sweater over your romper so it looks like a pair of shorts—you’ll have everyone fooled. Try out a pair of over-the-knee boots to pair with your tights! Now that you know how to wear a romper with tights, it’s time to get trendy with your outerwear. Channel your inner fighter pilot and look runway ready with a bomber jacket! The shorter style wears well with your romper and will be perfect for transitional weather as we get closer to spring. Ready to romp around in tights? Tell your Stylist by updating your Fix Note today!